Pictured (Front Row, L-R): John Rich, Big Kenny. (Back Row, L-R): Ron Cerrito, Mike Nobrega, Whitney Daane, Jeff Solima, Rob Dalton. 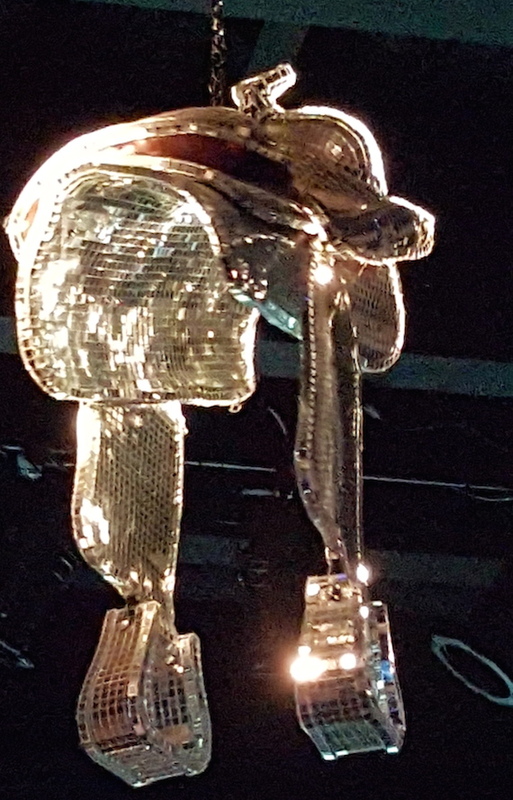 New Revolution Records’ Big & Rich threw a party at Mt. 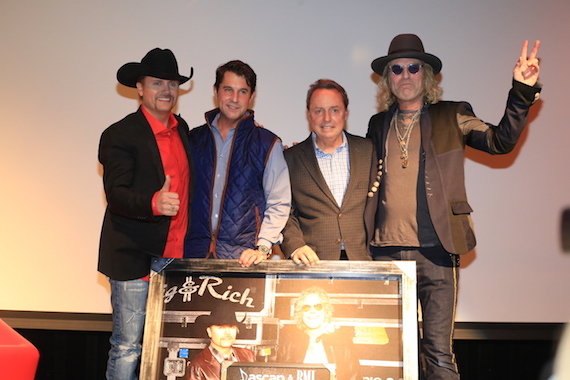 Richmore (John Rich’s house) last night (Jan. 12) to celebrate back-to-back Top 10 hits with “Look At You” and “Run Away With You.” And as a bonus, they recently saw the most first week adds in their career for the current single, “Lovin’ Lately,” featuring Tim McGraw. The event was held on level three of Rich’s home. It featured a full bar, stage, and big screen TV that was showing music videos from Big & Rich, Gretchen Wilson, and Jason Aldean. All of the songs were co-written by John Rich or Big Kenny. Marc Oswald, who handles the manger role for Big & Rich, welcomed the crowd before introducing members of BMI, ASCAP, New Revolution, and Kobalt Music Publishing. Rich shared the story of meeting Big Kenny at a showcase for the first time and getting hit in the face by a piece of candy that Kenny had thrown the stage. “We decided to write together and had a song on our first meeting. And since then, we have written over 500 songs together,” said Rich. Many familiar faces were present including Tim McGraw, Michael Ray, and legendary news journalist Dan Rather. All photos courtesy of Bev Moser/Moments By Moser. 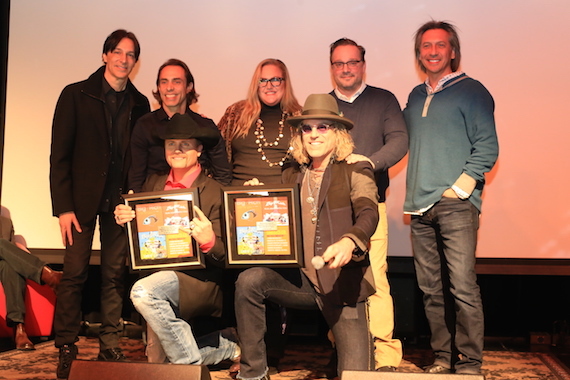 Pictured (L-R): John Rich, Michael Martin (ASCAP), Jody Williams (BMI), Big Kenny. 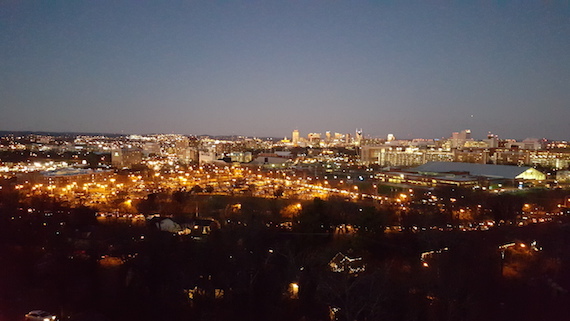 View of Nashville from Mt. Richmore.